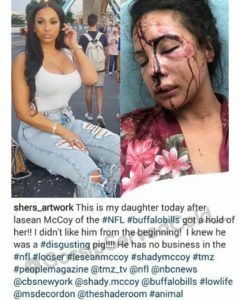 Despite NFL player LeSean McCoy claiming he hasn’t seen the woman he’s accused of assaulting in months, she was in his home last night when she was attacked. She’s been living in his home for almost 2 years. According to reports, police officers were called to LeSean’s home Milton, Georgia, a suburb of Atlanta, for a home invasion call. According to the audio of the 911 call, the woman inside LeSean’s home was hit in the head, locked in the bathroom, and had her phone taken. That woman is LeSean’s girlfriend, 34 year old Delicia Cordon. 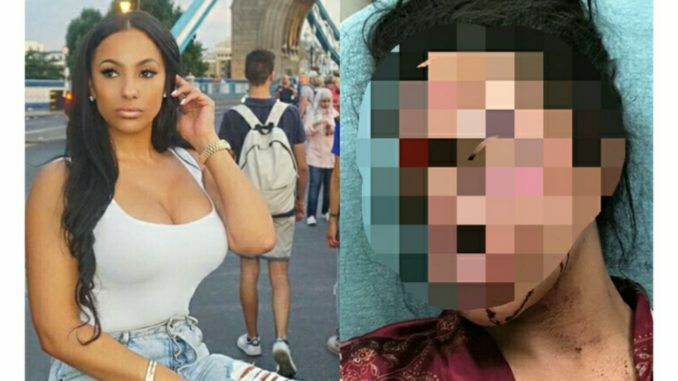 Earlier today, Delicia’s friends and family blasted LeSean, allegedly claiming not only is he behind Delicia’s attack, he’s also abusive towards his son, LeSean Jr. and even beat his pet dog so bad, the dog suffered kidney failure. Delicia’s best friend also claimed the 29 year old Buffalo Bills running back is using illegal steroids. LeSean’s son is from his previous relationship. 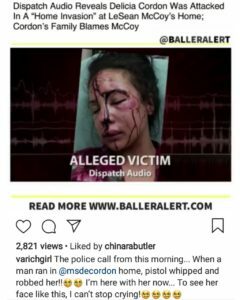 Delicia’s 2 children are from her previous relationship with former Miami Dolphins player Marcus Vick, Mike Vick’s brother. 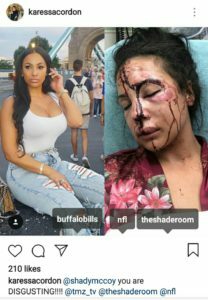 So why would LeSean set up Delicia to be robbed and attacked in his own home? 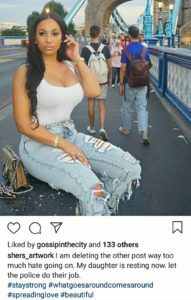 Last month, LeSean actually sued Delicia, claiming she’d been living in his home rent-free with her 2 children for 5 months. The two briefly reconciled and got back together around Memorial Day, May 28, 2018 according to court docs, and discussed getting married. LeSean even bought Delicia a “substantial gift”, according to court documents. Everything was fine, Delicia thought, but it appeared to be a ploy to get her out. Delicia left the Georgia home on May 31, 2018 to attend her sister’s graduation in Virginia. The following day, Delicia spoke to LeSean on the phone and he told her he’d be joining her in Virginia for the graduation, according to court docs. Instead, Delicia reportedly saw LeSean’s friends and family enter the home and remove her “furniture and furnishings” on the live-feed from her security cameras. 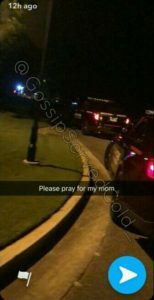 Delicia called the police to halt the spontaneous eviction. Delicia claims LeSean then cut the electricity off in the home she shares with her 2 children and their feud took a turn for the worse. On June 11, 2018, eviction letters were served to the home, but because they were served to Delicia’s 16 year old son, her attorney rendered the notice invalid. LeSeans’s friend Tamarcus Porter, who played football alongside LeSean at the University of Pittsburgh, filed papers against Delicia on behalf of LeSean. The papers reportedly demanded Delicia to vacate the home and return all of LeSean’s belongings. Delicia’s attorney stated since Tamarcus is a “layperson” and not an attorney, his filings should be dismissed. Tamarcus was also reportedly with LeSean during the Philly lounge brawl that resulted in 2 off-duty cops being hospitalized. Delicia’s attorney also stated LeSean never actually asked Delicia to leave his home during their on-again/off-again relationship. Delicia has lived there since October 2016. 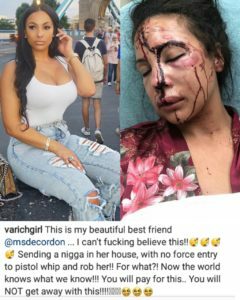 LeSean reportedly re-filed papers to get Delicia removed from the home and the two were actually scheduled to appear in court the day she was attacked, but the date was pushed back to August because Delicia’s mother was hospitalized. 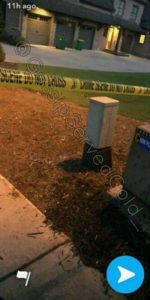 Milton Police Department released a statement, saying this incident was not random; it was targeted attack. According to reports, LeSean claims he has been in Miami for the last few weeks, not at his Georgia home, and claims Delicia had previously removed the security cameras from the home.